Why pay up to $200 for one pair of orthotic shoes when you could use versatile, affordable, clinically proven Heel Seats instead? BOGO pricing when you buy a 2-pack — No coupon code needed! Durable — guaranteed effective for 3 months! Gel Heel Seats are perfect for first-time orthotics users and people with sensitive feet. 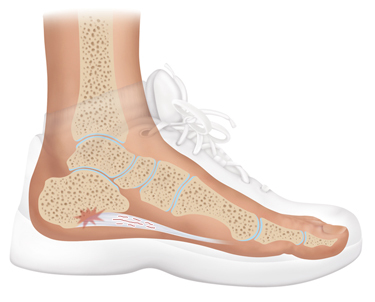 gently realign the plantar fascia ligament, providing targeted pain relief from heel spurs and plantar fasciitis. Designed with the same patented technology as our original Heel Seats, Gel Heel Seats are made of soft, supportive gel. Same acupressure to target painful hot spots, same soothing relief, same 100% money-back guarantee! Why are Heel Seats so effective? It all comes down to our patented Fascia-Bar Technology, something you won’t find in any other orthotic insert or shoe on the market. A double-blind clinical study undertaken by the University of Iowa showed that Fascia-Bar technology is twice as effective as a comparable leading brand orthotic. And just as importantly, Heel That Pain customers report a remarkable satisfaction rate of more than 90% when using Fascia-Bar inserts to target their heel pain. The pain when walking (can’t really call it walking, more of a painful hobble) was extreme. The next treatment for this condition after the drugs, and injections I have had, would have been a long stay in the hospital for surgery. Plantar Fasciitis basically ruined my life. It almost cost me my job. I never wanted to go out and do the things I used to do, and by the end of the day I was snapping at everyone. My brother-in-law’s pain was so intense that he found it difficult to wear his cowboy boots and enjoy country western dancing. It has now been about 4 hours since I put them [Heel Seats] in my shoes. I am so relieved, I started crying. . I can’t believe I suffered so long, when these were available. Since using Heel Seats, my brother-in-law now goes out each weekend to enjoy dancing at his favorite nightclubs. 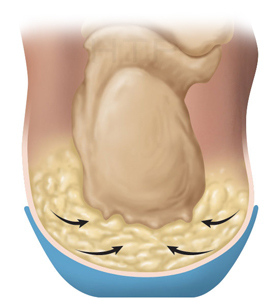 Why Are Heel Pain Suffers Praising HTP Heel Seats? Why Are Their Feet Thanking Us? Clinically proven, patented Fascia-Bar technology, invented by Dr. Art Smuckler, C. Ped, OST, helps a damaged, overused arch absorb weight and impact properly again so that healing can begin. And the best part? We’re committed to the idea that effective doesn’t have to mean expensive. Get BOGO 50% off pricing on all Gel Heel Seats — no coupon code required! We invested thirty years of research into developing these “little blue miracles.” Simply insert Gel Heel Seats into your favorite pair of shoes to knock out pain from heel pain, Plantar Fasciitis, and heels spurs. What makes our orthotic inserts different from the $5 foam inserts at the grocery store? Durable, flexible gel stays strong and supportive for 3 months–wear, wash, repeat! Clinical trials conducted by the University of Iowa prove that Heel Seats work. And nine out ten customers who use Fascia-Bar orthotics daily report a complete or major reduction in their heel pain. Fascia-Bar technology prompts the body to repair and rebuild the arch and fatty pad of the heel, while soothing the pain away quickly with comfortable gel and targeted acupressure. 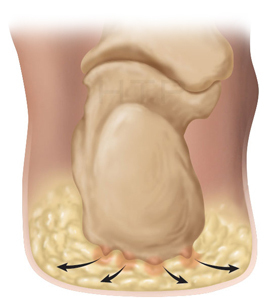 Most heel pain sufferers experience relief within 30 days. Gel Heel Seats should be replaced every 3 months for maximum effectiveness. Made from a soft rubber blend, these orthotics are built to stand up to daily wear for 3 months. And no worries about stinky inserts. Just toss your Gel Heel Seats in the washing machine as needed! And with discount BOGO pricing when you buy any two pairs of Gel Heel Seats, you can afford to have a pair of Gel Heel Seats for all the shoes in your closet–for less than one pair of custom orthotic shoes! 100% Guaranteed: You’ve Got Nothing to Lose, Except the Pain! We stand behind our Gel Heel Seats 100%, If our orthotic inserts don’t work for you, just send them back for a complete refund, guaranteed, no questions asked. And there’s another reason you’ll feel great walking pain-free again with Heel Seats: a portion of your purchase price goes to Samaritans Feet International, allowing us to distribute free Heel Seats to heel pain sufferers in poverty-stricken areas of the world. That means every step you take wearing Heel Seats helps someone else enjoy physical activity pain-free, too! So what do you have to lose–except your heel pain?